A selection of the kind words received from my clients - many thanks to you all. Maria and I just wanted to say thank you for all your hard work on Saturday. You went above and beyond the call of duty in terms of getting photos of our wedding, sometimes having to work in fairly challenging conditions (in terms of weather and subject matter!). We're really looking forward to seeing the photos upon our return from honeymoon. Thanks again, Chris. We always knew Martin would be our photographer of choice, having seen him in action with his camera in the mountains. 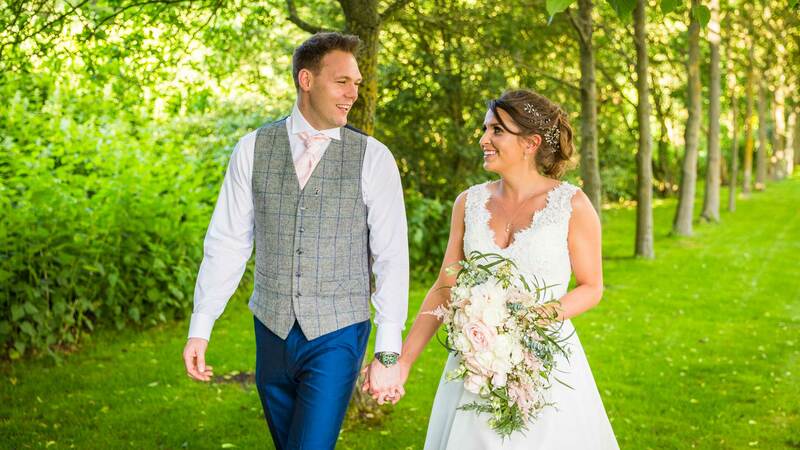 With our 'Get To Know You Shoot', we knew we'd made the right choice and the final wedding images proved that in spades! He managed to get right under our skin of all our guests - and us - often without anyone actually realising he was there, camera pointed. He captured the mood and energy of our day completely. Thank you Martin. I would like to start by thanking Martin for his fantastic and professional work back in May 2016. Both of us are camera shy and Martin helped us feel calm and relaxed throughout. Any questions, concerns or requirements I had were handled efficiently, Martin did not disappoint. Communication was brilliant both before and after our wedding. Martin did an amazing job and we would highly recommend. 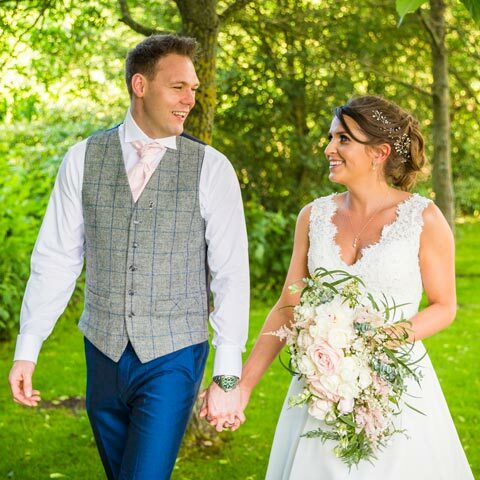 Martin is a hugely talented photographer who was able to deliver the candid photography that we wanted for our wedding day. Not only was he there to capture the uniqueness and truely personal moments of our day but he was on hand to help where he could, guiding us along the way and ensuring that we had as much fun as possible. 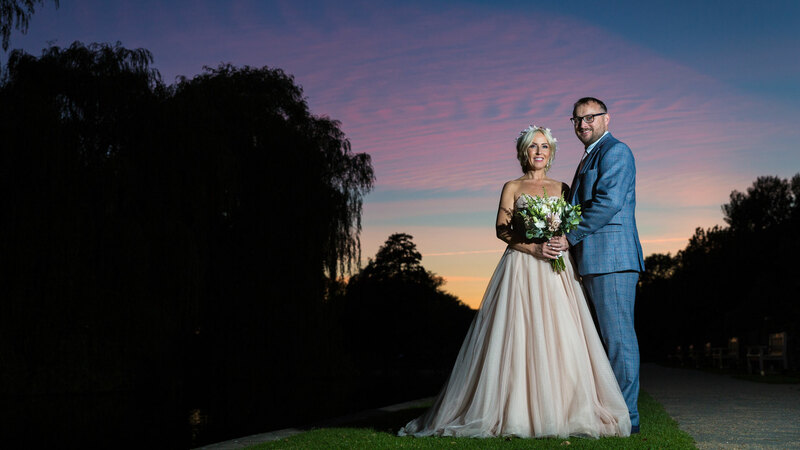 The photographs that we received highlighted the dedication and level of commitment Martin undertakes to ensure that all of our beautiful moments of our day were captured with stunning photographs that will be a lasting memory of our wedding day. We hired Martin as our wedding photographer for July 2016. When we first met up with him to go through our wedding day, and have our 'Get To Know You Shoot', we both absolutely loved him. He's so welcoming and it was clear that he was very experienced. Those photos came out great, and it made us even more excited about the day. 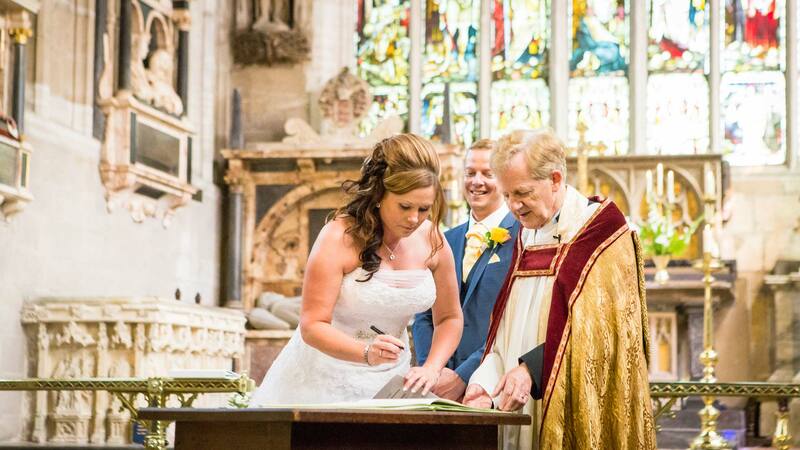 When the wedding day came Martin was brilliant, we hardly knew he was there. The photos are amazing and we got them quicker than we thought we would. If you are looking for an easy process and gorgeous photos, then Martin is the photographer for you. Hi Martin, just wanted to say a huge thank you for all your work a few days ago at our wedding, you went above and beyond. Look forward to seeing the photos in due course. From our first meeting with Martin, we both felt totally at ease with him, which made the whole process much easier and more fun. The pre-wedding shoot was a great opportunity to get to know Martin and for him to get to know us, and to get used to being photographed! He was very accommodating with getting the shots we wanted, and gave his honest opinion on potential limitations (eg timings/logistics). Martin's relaxed but professional approach really helped the day go smoothly. He captured every aspect of our special day perfectly - from every angle including his favourite lying on the ground!! Thank you so much Martin, we can't wait to see the album (once we've somehow picked our favourite photos- they are all so good). 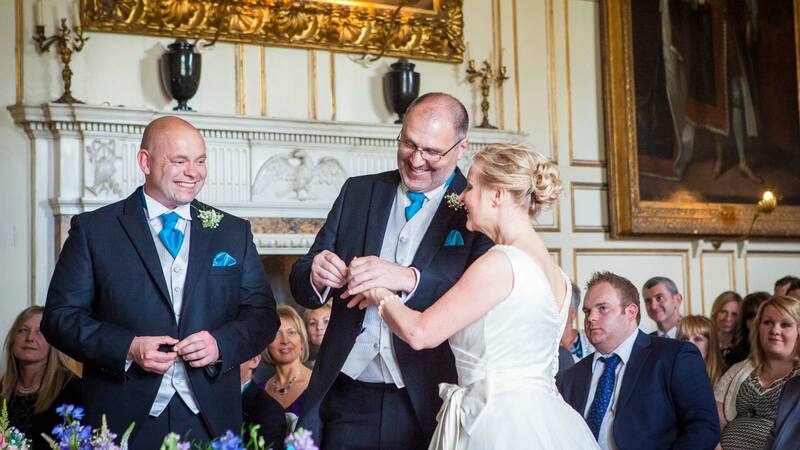 We first met Martin at a wedding fayre. Although there were other photographers promoting themselves, right from the off, we could see Martin was the best. We were so impressed with the sample albums he showed us and indeed the photos which were more imaginative than normal wedding photographs. With our big day now having passed, we are so pleased with Martin's work. He really put the effort in to make sure that he captured what we wanted from the day. A 'Get To Know You Shoot' really helped put us at ease and we are grateful for Martin's attendance at our wedding rehearsal to discuss what he could do within the church. On the day Martin somehow squeezed in four different venues to get all the shots that we wanted. We have had a number of compliments from our guests as to how Martin got around the room to catch people having a good time, and this was evident once we saw the photos. We had the best day and could not thank Martin enough for helping us relive the day whenever we look at the album. As photography novices, we found the idea of picking our photographer quite daunting. Meeting Martin at a wedding fayre was a stroke of luck, and he immediately put us at ease with his relaxed, but professional manner. He helped us enormously to work out what we wanted and fulfilled it entirely. 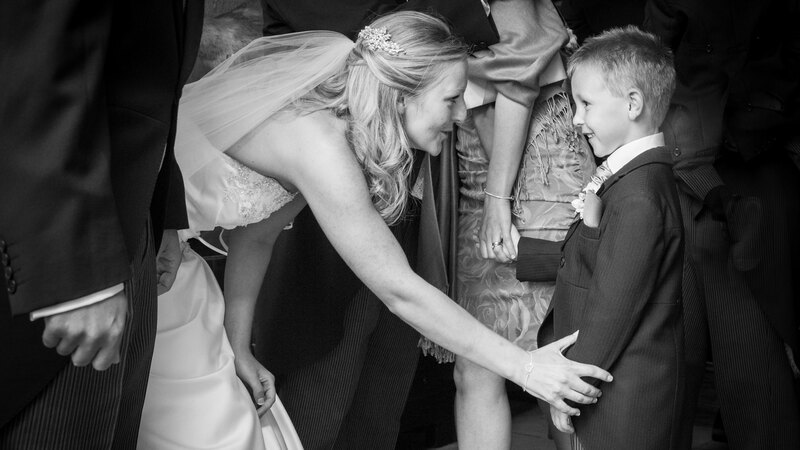 The beautiful photographs are the perfect way to remember the day, and we could not be happier. Martin produced a brilliant set of wedding photos for us. As an individual he is friendly, approachable and impressive. As a photographer he listens to what you want, advises, guides, interacts brilliantly with the guests, and sticks to the brief. In our case it was a challenging brief. We wanted unique, bespoke, quirky, and traditional. Martin not only delivered, he exceeded our expectations. Martin was amazing. 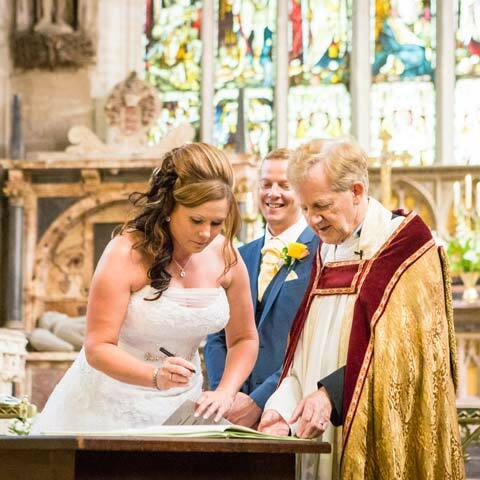 We couldn't have found a more friendly, knowledgeable, genuine and professional photographer to capture our day. 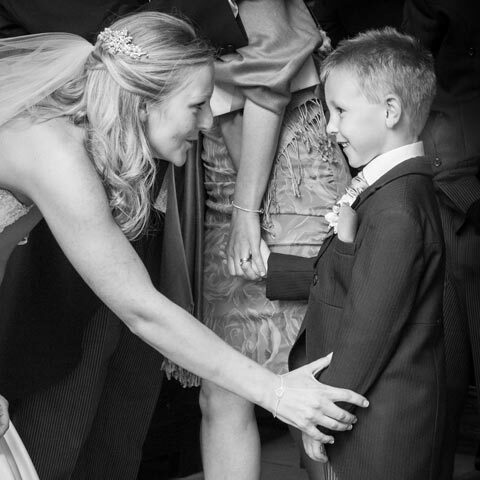 We would recommend him to anyone wanting fabulous photos due to his outstanding quality, service and value. Thank you so much for being our wedding photographer. You captured the day perfectly, capturing all the details that may otherwise be forgotten. You took some beautiful shots of both ourselves and our guests. The time and effort you have put in to ensuring we got the shots we wanted, both on the day and in post production, is greatly appreciated by both of us. We are so glad we chose you to photograph our special day. Thank you so much. Martin, You have been professional, kind, thoughtful and most of all you listened. You didn't tell us what we wanted or what we should have, you used your great knowledge to guide us in capturing our day. During the chaos, you stayed calm and did over and above what was expected of you. Every time I look at the pictures I cry because they are so special and personal. Thank you again. Roger and I can't thank you enough Martin for our superb wedding photos, we can't stop looking at them and reliving our day. We had no idea you were there most of the time, which means there are many photos that surprised us greatly when we saw them for the first time. We were very impressed with your professionalism on the day, and also especially with the fact you made the effort to go to the wedding venue and meet our coordinator as well a couple of weeks beforehand. Top class service. Thank you so much again. We both wanted to say such a big thank you for everything you did both in the run up and on the wedding day. We loved our day and you really helped us to make it what it was! I think I speak for both of us when I say how relaxed you made us feel and how much fun it was to work with you. Thanks again for being such a wonderful photographer. Thanks for being insistent that this was 'our' day. You captured what we wanted and more, with your own unique style. We and everybody who has seen your work from our day love the results. Thank you so much. I don't think we could have had a better photographer for our day. Martin's personality clicked with all the guests and we have had many comments from them not only about how great his photos are, but what a nice person he was (despite looking a little like Heston Blumenthal!). Martin seemed to be invisible, as when we were given the photos on return from our honeymoon, we sat there wondering how on earth he got some of the shots. We really felt that the time, effort and preparation that you put into the day was top class. Many thanks. Martin spent a great deal of time darting about between bride, groom, family and friends gathering some amazing shots. Because the day was so happy and enjoyable and judging by the photos, this was the same for everyone, we almost forgot he was busy clicking away! 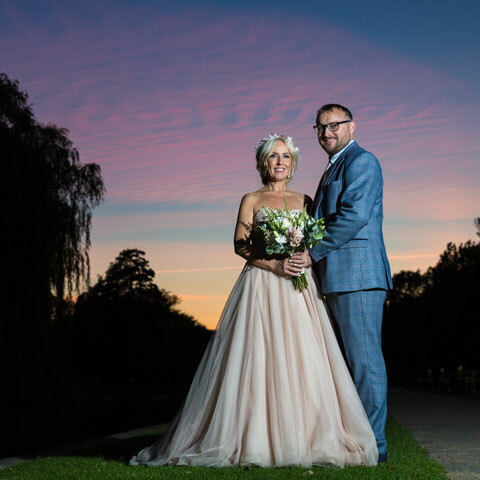 Martin is personable and easy-going and whilst he is professional, he is approachable and friendly and has a natural knack for getting family and friends into those important group photos without fuss. He is not only a natural photographer, but an innovative artist who is able to capture interesting, artistic and unique shots. Thank you Martin, we have some beautiful photos that will be treasured forever. Martin's photos were excellent - he found creative and original ways to take the shots and we have pictures that will really stand the test of time. We were thrilled with our results. Thank you so much for being such a great photographer. Our day was just perfect. 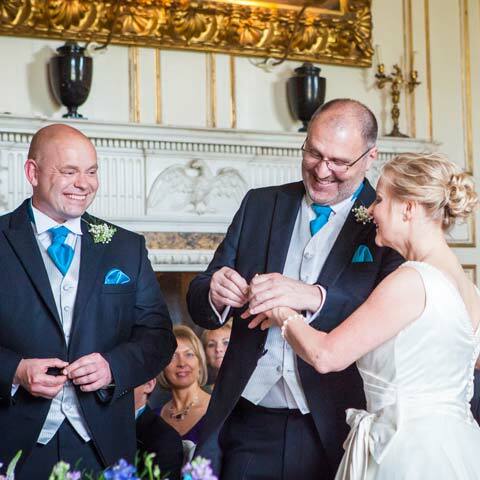 We have received the photos and they are fab. Thanks you so very much.